Sonam Kapoor And Anand Ahuja's New Mumbai Home Finalised. Guess Who's Designing It? Guess where Sonam Kapoor and Anand Ahuja have finalised their home in Mumbai? Sonam and Anand have decided to move into the actress' Bandra Kurla Complex apartment which she had bought a few years ago. After their grand wedding in May this year, the couple have been shuttling between Mumbai, Delhi and London (where Anand's business is based). As per a mid-day report, Sonam and Anand will be shifting to Sunteck Signature Island Apartments in BKC, which was also the venue for their grand mehendi function. A source close to the actress also revealed that the apartment was worth Rs 35 crore in the year 2015 and told mid-day: "Sonam had invested in this property long back. Considering the two spend a chunk of their time in Mumbai, she wants the Bandra house to be her marital home." Anand Ahuja, a Delhi native, reportedly grew up in Jor Bagh and now lives in Golf Links. His family also own a bungalow on the elite Prithviraj Road which they bought for Rs 173 crore three years, Economic Times reported. Anand, scion of a family that owns one of the country's biggest export houses, runs the fashion label Bhane and the sneaker boutique VegNonVeg. Sonam Kapoor, who has quite a bit of a reputation as a fashionista and is often praised for her great sense of aesthetics, has decided to design the Mumbai house herself. "She has already begun doing up the apartment. During her recent trip to London, she picked up curios and artefacts for her home," the source told mid-day. The 33-year-old actress, who is currently occupied with the shooting of Ek Ladki Ko Dekha Toh Aisa Laga, has many films in her kitty and is hoping to move into the house, before she begins filming The Zoya Factor. 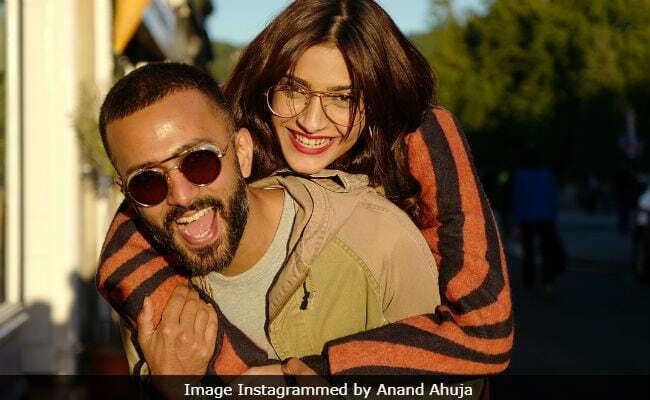 Anand Ahuja is thinking about expanding his business by setting-up a branch of his fashion label Bhane in Mumbai, said mid-day's source. Sonam Kapoor was recently seen in Rajkumar Hirani's Sanju.